Nomos: FIGHT CLUB ANNOUNCES "RIVAL NIGHTS"
Great news to all fighting fans out there! The NFC has announced a major change in the weekly scheduled fights. 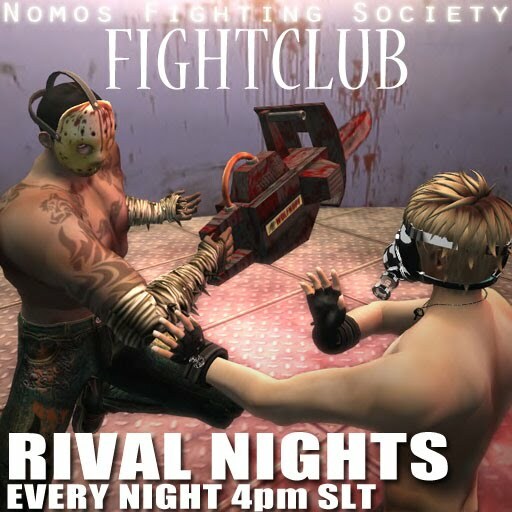 Starting now, there will be a scheduled event every night at 4pm SLT to be held down at the club. Its a great way to make cash as the manager guarantees a 200g prize money for EVERY fight won.